Shakespeare', 1776. 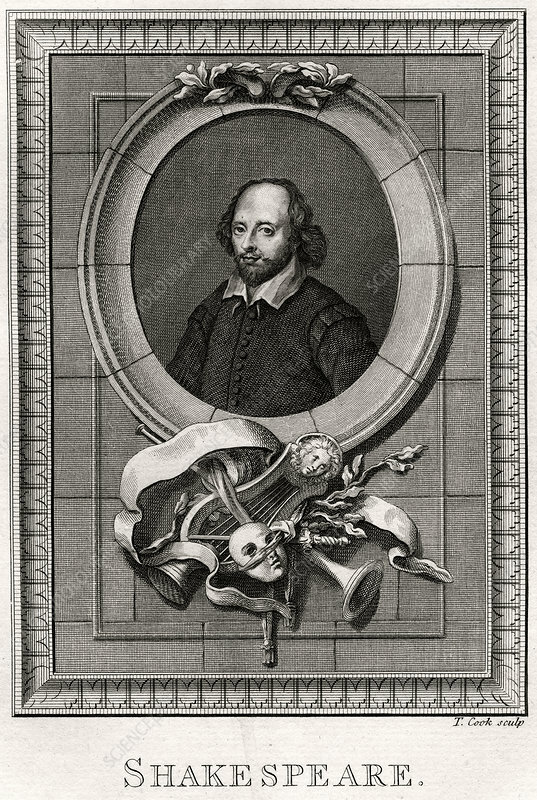 Portrait of the playwright (1564-1616), plate from The Copper-Plate Magazine or A Monthly Treasure, London, 1776. Artist: T Cook.